Product prices and availability are accurate as of 2019-04-18 07:54:21 EDT and are subject to change. Any price and availability information displayed on http://www.amazon.com/ at the time of purchase will apply to the purchase of this product. 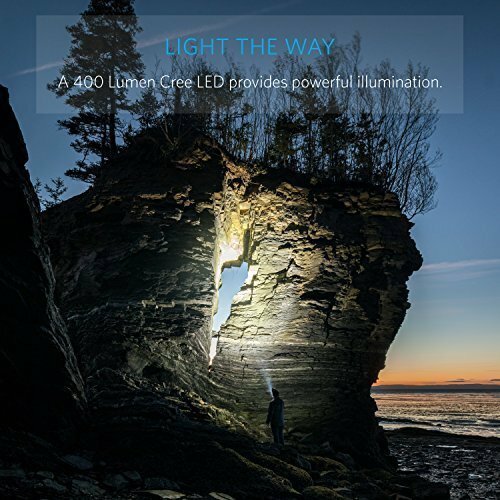 SUPER-BRIGHT: 400-lumen Cree LED (50000-hour lifespan). A compact, yet radiant flashlight to illuminate any dark spot, space, or place. Features High / Medium / Low / Strobe / SOS modes. 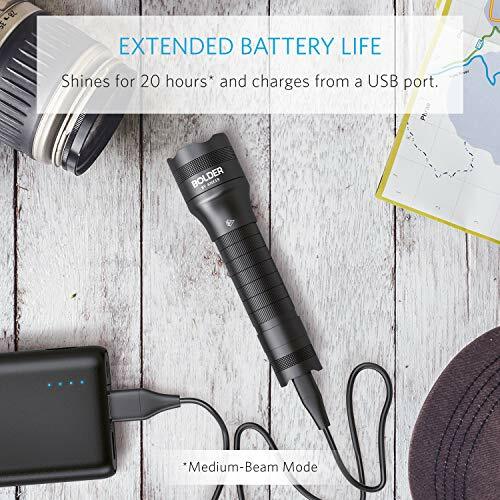 LONG-LASTING: Up to 20 hours (Medium-beam mode) of powerful, non-diminishing brightness from the included premium rechargeable 3350mAh battery. LEDs boast an extended 50000-hour lifespan. Recharge in 6 hours with a 5V 1A adapter (not included) and the included Micro USB cable. TOUGH AND RELIABLE: IP65-rated. Designed for almost any conditions, from heavy rain to dry and dusty environments. Its durable aluminum body and shock-resistance endure rough handling. EASY TO GRIP: Lightweight and easy to carry around, the anti-slip finish holds fast in your hand during extreme conditions. 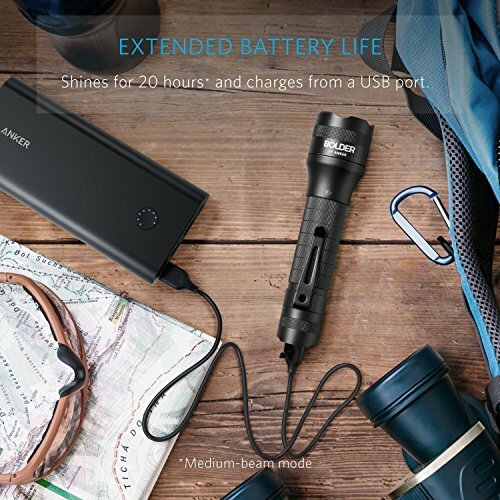 WHAT YOU GET: Anker Bolder LC40 Rechargeable Flashlight (with built-in 3350mAh rechargeable battery), welcome guide, Micro USB cable, and our worry-free 18-month warranty and friendly customer service.